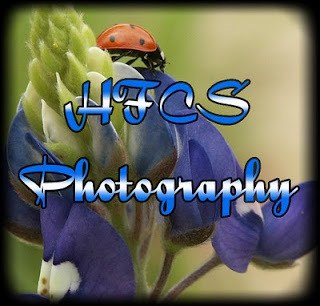 So, the first project, and the one I have been working on the longest, is HFCSPhotography.com. I've been doing photography as a hobby for 3 or 4 years now. I've sold a couple, had a couple of commissions, but I haven't really put the effort into REALLY making money. Off and on, I have been working on the website. I have an ugly version that works and allows users to order prints, and a much nicer beta version that almost works, but doesn't allow users to order. My goal has been to get the beta version cleaned up, get the shopping cart working, and then start on the SEO necessary to actually get traffic coming to it. But I have what many would consider a character flaw; I enjoy reinventing the wheel if I can. I've written everything for the site by hand. On the new version, I use a lot of JQuery, but I modified even that a lot. For instance, the JQuery code to shrink/expand the objects does it from the top left corner, not the center, so I had to write my own code for that. The fade routine sets an objects visibility to false when it becomes totally transparent, which was making some of my auto-sized wrappers blip in size, so I had to write my own version of that. But I am finally getting to the point where I realize that I can't do it all on my own (and shouldn't if I could). Originally, I was writing the shopping cart myself to work with PayPal, but I no longer have the time. I decided to buy a third-party shopping cart component, but I really haven't even had time to research those and decide on one yet. Plus, I have decided that if I do get the site working, I've got a better chance of selling the website itself than I do the pictures. But then I would have to go through all of the trouble to enable branding, a more friendly upload procedure, etc. And on top of all of that, if I ever got it working, I'd have to go through all of the time and effort necessary to get SEO and other marketing done. So with this blog, I start on a new tack. I still think I can make more money running my own site, but I don't have the time. It's time that I learned to let go and stop trying to do everything from scratch. So I am putting more effort into CafePress (beadpimp, kiatachan, hfcsphotography), Zazzle, and deviantART. Each of these and this blog will serve as my first legitimate marketing steps as well. They will all link to each other (and to my site as well, just in case). The bulk of the sites are handled by their own developers, I just have to upload my art instead of doing all of the work to support those uploads as well. And they all end up in google and other search engines without me having to submit them myself. Hopefully, this will be a good step forward for me. I'm learning to let go, and I may actually make some money in the process. I am a computer programmer in DFW. I've worked for a major international bank (technically, a non-banking subsidiary) for the past 12 years or so. I have a wife and two children. I'm currently into programming, photography, woodworking, and welding. This blog will detail the various projects and such that I embark on (and hopefully complete). It will serve anyone who is interested as a status update on those projects and other things in my life, and it will also serve as a place that I can post my "tips and tricks" and such for things I do or discover so that I can find them later. And to be perfectly honest, there's a hidden motive (although I suppose it's not hidden if I point it out). I don't particularly care for my job. Finance isn't exactly an exciting field. On top of that, I'm highly anti-government. I'm cynical enough to realize that it's never going to change and that nothing I can do will ever get the government away from me or my money. But having to take a test every year on how I have to use the patriot act to make sure to screw everyone over is just pouring salt in the wound. So I want out. This blog, hopefully, is a start on the SEO requirements of making any of my other projects pay off.